You can save any existing outreach campaign as a template to re-use it in your future campaigns. Here's how you can do it in minutes. Hover over the campaign you want to save as a template. Open the drop down menu and click Save as template. In the Save campaign as template dialog window edit the template name and description. On the Campaigns page, click the New campaign button. In the Create a campaign dialog window, click From template. 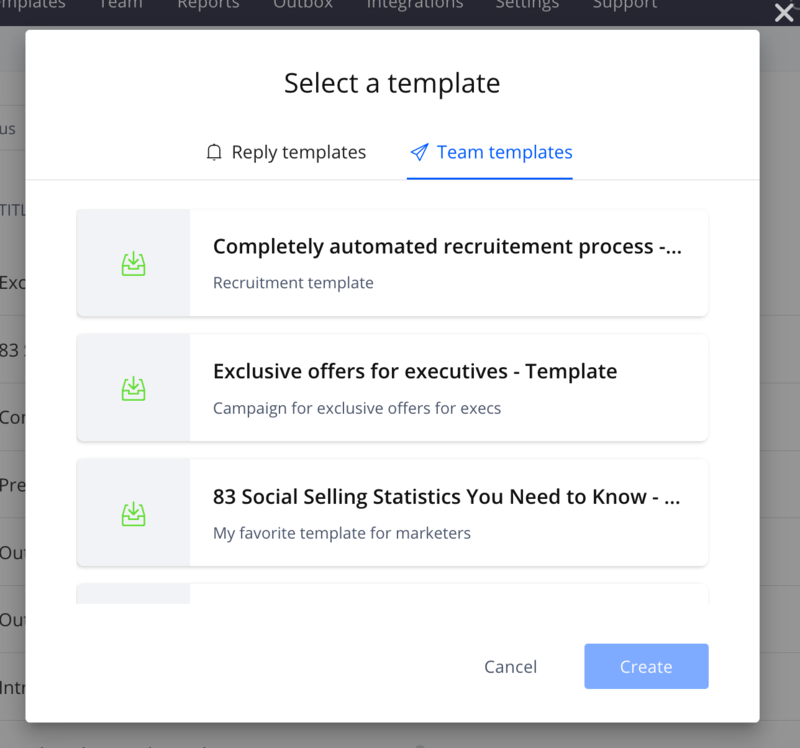 In Select a template, click Team templates and select your saved template.